ARENDAL HAMMERS IT WITH BEST OF THE YEAR! 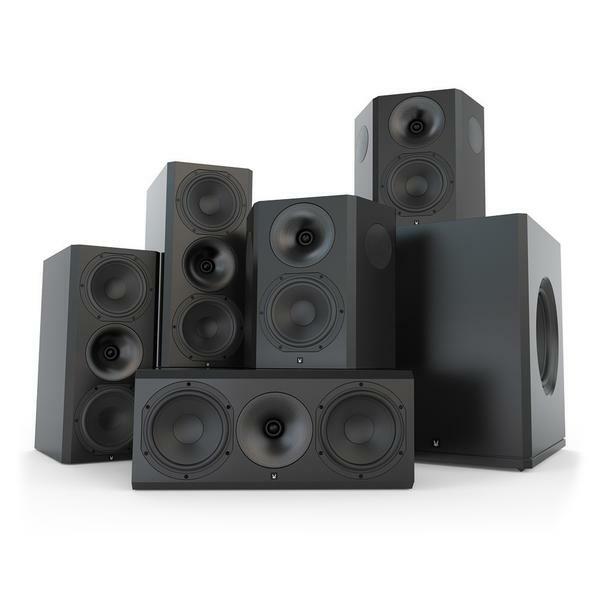 There are a lot of speakers made and some are better than others for use in a home theater. It’s the case with Arendal Sound that it is very good on music and totally amazing at home theater. By Håvard Holmedal. Read the original version here. It is easy to get the impression that Arendal Sound makes the best speaker you can buy. But that’s obviously not the case. With an unlimited budget, a rich uncle inherited from America, or a wealthy cohabitant, you can of course buy better products than Arendal Sound. But what sets them apart from many other speakers we have had the pleasure to have in the house, is that they play against the very best, irrespective of price. Arendal Sound is very well assembled and you get the impression that this is the real thing when you are doing the knuckle test. Use your knuckle to hit the cabinets and it will answer with a short sound which tells you the cabinets are dense and well damped. The drivers are developed by Arendal Sound and do an excellent job, even if the dual 8” drivers potentially takes up the all of the space besides the TV or projection screen. As I have expressed to Arendal Sound, I wish for a smaller cabinet with dual 16.5cm drivers sharing the same characteristics. If you would loose a few dB in max volume and maybe a bit below 50-60Hz, that does not seem like a big problem. These speakers can play so incredibly loud, the limits are down to your amplifier power, instead of how much the speaker can handle. And that’s without any audible compressions at all. The speakers in this package are two Monitor, one Center (identical to the Monitor, only horizontal) and two dedicated Surround. All speakers use the same 8” driver and tweeter in different configurations, but the Surround has also two full-range side drivers for use in the home theater. The Subwoofer 1 which we reviewed in our last issue with high recommendation completes the package. The latter is a bargain for its price, even if it’s sealed and it does not yield the pumping bass you get from a larger ported version. No Arendal Sound speaker stands out in terms of design from each other and they do not have any design elements which catch your eye. You need to make your own decision if they will fit your living room, or if they need to be in a dedicated room for the house peace. Even if they take some space, they are relatively easy to set up. Still, speakers with high precision need to have a properly placement. The distance needs to be the same from the listening position, especially for the front speakers, and the subwoofer needs some work to get it blended in with the rest of the system. Even with all sorts of room corrections and DSPs, time and phase are significant in getting an optimized experience, so I would first try to get the best placement, and then let the room correction do the rest for perfection. I started with an 80Hz crossover from the speakers to the subwoofer, but there is so much power in the speakers, I ended up with 60Hz setting. With this I get the full potential from the speakers with a well blended subwoofer. Speakers which can play so loud and brutal like these, should also be placed in a well furnished room. Then it’s not the speakers which are compressing the sound, it’s your room. The reflections from the walls will be the biggest sound source which we do not want! If you do not have many options to treat the room acoustically, you would want to reduce the first reflections from the side walls, ceiling and floor. Do buy them as they play very good on low volumes too but they are demanding when the volume is getting loud. They seem very easy to drive even if I do not have more than 100W (of the right kind) it really swings when I push the volume. Actually, so loud that I do not hear a delivery driver on the door, first ringing two times and then hammering on the door. If you do have some experience, the first thing which strikes you is how well it’s blended and the integrations between all speakers in the room. The voice match is important and sometimes more important than you think for the total experience. The size of movements and details needs to be the same for all speakers in the system or you do not get the illusion of space and a natural movement of sounds. The Center follows the system in an impressive way. There are no signs of voice match problems, or size differences even if I hammer the volume playing 8mm with the train crash for over 2 minutes. It is absolutely natural and immersive when the train passes your eyes with impressive metallic and a credible performance when iron hits iron and big metal plates are bent. You do not want to buy a smaller center speaker “because you do not have room for it”. Voices are natural, rich and detailed. They get never thin or lean and they have the full richness without it being too much or chesty, when it should not be there. Transients are well defined where it starts and stops in matter of hundredths of a second and the speaker lets go when it should, so the experience is not just about volume and pressure. I think water is the most difficult to get right and that’s why I often use movies with water sounds. One example is the opening of Prometheus where it is filmed by a waterfall. The water may miss some of the ultimate Hi-End class details and openness but it is very impressive. We have already mentioned the subwoofer and Subwoofer 1 creates a delicious and deep fundament below the speakers, with rhythm and pace which never repeals. The result is a tight transient response, that goes all the way from the bass and up to the highest frequencies. There is nothing that lags and nothing being assertive. This is a system which is in balance with itself! The speakers have a neutral sound with balanced tweeter energy, very dynamic in the midrange. I think the people at Arendal Sound have done this in a reasonable way, as the tweeter could have been more harsh and bothersome, if it hadn’t been this well integrated. I have been listening to a lot of music on this system and its surprising how tidy and smooth it is in multiple channels. There are many concerts on Blu-Ray and lots of music which gives outstanding quality in multiple channels. However it is on home theater you get the full potential with these speakers, with its large drivers and cabinets to play with and it’s allowed to be as brutal as needed when it plays along with the right electronics. Speaking of electronics for these speakers, it’s an insult to connect an AV-receiver from the low end of the scale. If you want to use an AV-receiver on this system you need to look at the top end models from Onkyo, Pioneer and Yamaha. Then you get a taste of what these speakers can give you. Arendal Sound have made some really impressive speakers. This package entertains at a very high level. We can not see any near competition in this price class, even if you compared to higher prices. This is the best we have heard this year by a big margin. Arendal Sound impresses in the home theater with big, nice and dynamic sound. This is so good it is almost rude!